Walk into a typical beer bar, and you might get to choose from a decent spread of breweries. Walk into a beer festival, and you'll have the option of drinking 20-30 beers within 20ft. It's also the only place in the world where it's acceptable to wear a necklace made out of pretzels, and it's tough to put a value on that. Plan your vacation days accordingly -- these are the biggest, best, and most original beer fests across the country. NYC Craft Beer Festival Seventy-five breweries are pouring two beers each (all of which are seasonal and/or limited releases) to massive crowds at the Lexington Armory, a 1900s-era building that still currently houses the NY Army National Guard. Expect the lines of people waiting to get beer to be formed with military precision. NYC Craft Beer Festival New York, NY Seventy-five breweries are pouring two beers each (all of which are seasonal and/or limited releases) to massive crowds at the Lexington Armory, a 1900s-era building that still currently houses the NY Army National Guard. Expect the lines of people waiting to get beer to be formed with military precision. Chicago Beer Classic Soldier Field is normally reserved as the place for watching the Bears embarrass themselves, but for one night in May, 75+ breweries will attempt to temporarily remind Chicagoans that good things can happen at Soldier Field by featuring beer from folks like Half Acre and Arcade. Chicago Beer Classic Chicago, IL Soldier Field is normally reserved as the place for watching the Bears embarrass themselves, but for one night in May, 75+ breweries will attempt to temporarily remind Chicagoans that good things can happen at Soldier Field by featuring beer from folks like Half Acre and Arcade. Beer City Spring Fest Michigan beer lovers are transported to Michigan beer heaven (which is located in a small corner of craft beer heaven) at this all-Michigan brew fest, which in past years has included standout breweries like Brewery Vivant, Founders, New Holland, and Bell's. Beer City Spring Fest Hudsonville, MI Michigan beer lovers are transported to Michigan beer heaven (which is located in a small corner of craft beer heaven) at this all-Michigan brew fest, which in past years has included standout breweries like Brewery Vivant, Founders, New Holland, and Bell's. AmeriCAN Canned Craft Beer Festival For one day in 2016, Scottsdale will be one of the best places in America to be in, as 250+ beers completely surrounded in aluminum will be available for drinking. The toughest part will be selecting which 20 to sample. AmeriCAN Canned Craft Beer Festival Scottsdale, AZ For one day in 2016, Scottsdale will be one of the best places in America to be in, as 250+ beers completely surrounded in aluminum will be available for drinking. The toughest part will be selecting which 20 to sample. Outside Bike & Brew Outside magazine is out to prove that beer drinkers aren't just lazy people who spend all day sitting and drinking beer, as they bring together a weekend of cycling events and great beer from the likes of Ballast Point, Oskar Blues, and Stone. Outside Bike & Brew Santa Fe, NM Outside magazine is out to prove that beer drinkers aren't just lazy people who spend all day sitting and drinking beer, as they bring together a weekend of cycling events and great beer from the likes of Ballast Point, Oskar Blues, and Stone. Six One Pour A big ole Ohio craft beer fest that takes place during Columbus' Craft Beer Week, Six One Pour offers beer from 50+ Buckeye State beermakers. Look out for a limited "special collaborative beer." Six One Pour Columbus, OH A big ole Ohio craft beer fest that takes place during Columbus' Craft Beer Week, Six One Pour offers beer from 50+ Buckeye State beermakers. Look out for a limited "special collaborative beer." Where the Wild Beers Are This has the distinction of being one of the few beer festivals in the country where you have to buy and bring a commercially-produced wild, sour, or farmhouse beer in order to be able to drink there. It's also held in Des Moines and Minneapolis later this year. Where the Wild Beers Are Brooklyn, NY This has the distinction of being one of the few beer festivals in the country where you have to buy and bring a commercially-produced wild, sour, or farmhouse beer in order to be able to drink there. It's also held in Des Moines and Minneapolis later this year. 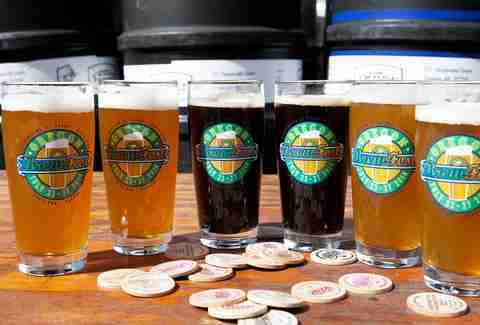 San Francisco International Beer Festival Expect to taste the best that California breweries have to offer, when Lagunitas, Firestone Walker, and Green Flash join some worthy out-of-state beermakers like Clown Shoes and Abita inside SF's Fort Mason Center. San Francisco International Beer Festival San Francisco, CA Expect to taste the best that California breweries have to offer, when Lagunitas, Firestone Walker, and Green Flash join some worthy out-of-state beermakers like Clown Shoes and Abita inside SF's Fort Mason Center. Beer City Festival America's 11th-best drinking city gets a little more boozy one night at the end of May with 32+ local/regional breweries pouring beer as local bands play the night away. Will any of the bands perform Lionel Richie's "Dancing on the Ceiling"? They should if they want to get the crowd hyped. Beer City Festival Asheville, NC America's 11th-best drinking city gets a little more boozy one night at the end of May with 32+ local/regional breweries pouring beer as local bands play the night away. Will any of the bands perform Lionel Richie's "Dancing on the Ceiling"? They should if they want to get the crowd hyped. Microbrew Invitiational When the people behind BeerAdvocate say that the fest will have 250 beers that are "carefully curated," we believe them. They have good taste. Brewer participation is limited to those that produce fewer than 465,000 gallons of the good stuff per year. Microbrew Invitiational Boston, MA When the people behind BeerAdvocate say that the fest will have 250 beers that are "carefully curated," we believe them. They have good taste. Brewer participation is limited to those that produce fewer than 465,000 gallons of the good stuff per year. 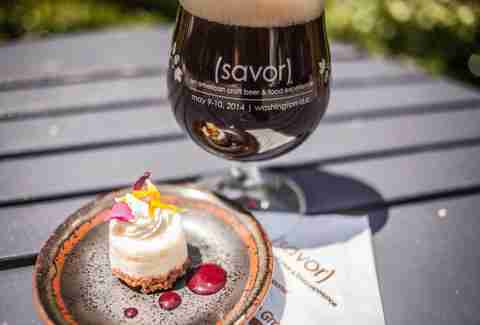 Savor Savor sounds like it could be the brand name of an artisan chocolate bar you pick up at a farmers market booth... and then gingerly place back in its place when you see how expensive it is. It's actually a massive food fest where great breweries like Dogfish, Schlafly, and Ommegang pair two dishes with two of their beers. Savor Washington, DC Savor sounds like it could be the brand name of an artisan chocolate bar you pick up at a farmers market booth... and then gingerly place back in its place when you see how expensive it is. It's actually a massive food fest where great breweries like Dogfish, Schlafly, and Ommegang pair two dishes with two of their beers. Midwest Sour + Wild + Funk Fest Last year's fest featured sours and wild beers from the likes of Jolly Pumpkin, Crooked Stave, and Wicked Weed. This year it expects 25 different breweries to do more of the same. Midwest Sour + Wild + Funk Fest Indianapolis, IN Last year's fest featured sours and wild beers from the likes of Jolly Pumpkin, Crooked Stave, and Wicked Weed. This year it expects 25 different breweries to do more of the same. St. Paul Summer Beer Fest A much more fun fest to attend than the St. Paul Winter Hypothermia Beer Jamboree, Minnesotans are lucky enough to enjoy 100 breweries on the MS State Fairgrounds. St. Paul Summer Beer Fest St. Paul, MN A much more fun fest to attend than the St. Paul Winter Hypothermia Beer Jamboree, Minnesotans are lucky enough to enjoy 100 breweries on the MS State Fairgrounds. Great Beer Expo This will be the eighth year of the fest that pours 200 beers from 75 brewers at the Navy Yard, and will be the largest gathering of rowdy Philadelphians besides the parking lot at the Linc before an Eagles game. 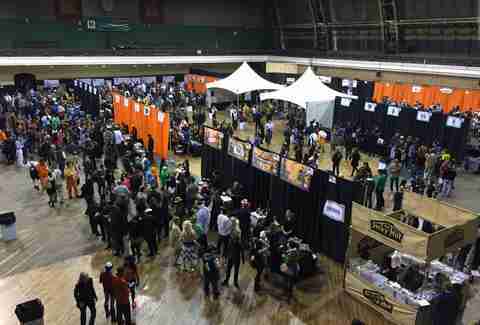 Great Beer Expo Philadelphia, PA This will be the eighth year of the fest that pours 200 beers from 75 brewers at the Navy Yard, and will be the largest gathering of rowdy Philadelphians besides the parking lot at the Linc before an Eagles game. Sierra Nevada Beer Camp Sierra Nevada loads up the bus and takes it around the country through the month of June (beginning in Tampa) and weaves its way through six cities total, from Seattle to Boston. It's one worth hitting solely for the collaboration beers Sierra Nevada makes with other fantastic breweries, some of which end up being bottled. Sierra Nevada Beer Camp Tampa, FL Sierra Nevada loads up the bus and takes it around the country through the month of June (beginning in Tampa) and weaves its way through six cities total, from Seattle to Boston. It's one worth hitting solely for the collaboration beers Sierra Nevada makes with other fantastic breweries, some of which end up being bottled. San Diego International Beer Fest Seemingly SD's answer to Denver's massive Great American Beer Festival, the Int'l Fest offers a beer competition that pays brewers to serve their beer and have it be judged, talks on the nexus of food and beer, and 200 breweries pouring over a weekend. San Diego International Beer Fest San Diego, CA Seemingly SD's answer to Denver's massive Great American Beer Festival, the Int'l Fest offers a beer competition that pays brewers to serve their beer and have it be judged, talks on the nexus of food and beer, and 200 breweries pouring over a weekend. Chicago Ale Fest The organizers also throw this fest in the winter, but come summertime, Grant Park is the site for 100 breweries like Allagash, Local Option, and Off Color to offer up their best brews, plus multiple local food vendors and live music. Chicago Ale Fest Chicago, IL The organizers also throw this fest in the winter, but come summertime, Grant Park is the site for 100 breweries like Allagash, Local Option, and Off Color to offer up their best brews, plus multiple local food vendors and live music. Colorado Brewers Festival Fort Collins is home to many of Colorado's finest breweries (New Belgium, Odell, Funkwerks, the list goes on and on), so it's no surprise that 20,000 beer lovers crowd this event, now in its 27th year. Colorado Brewers Festival Fort Collins, CO Fort Collins is home to many of Colorado's finest breweries (New Belgium, Odell, Funkwerks, the list goes on and on), so it's no surprise that 20,000 beer lovers crowd this event, now in its 27th year. Vermont Brewers Festival The fest is celebrating more than 20 years of existence by giving Vermonters what they want: beers from Lawson's, Long Trail, Smuttynose, and... hey, Smuttynose is in New Hampshire! That's cheating! Vermont Brewers Festival Burlington, VT The fest is celebrating more than 20 years of existence by giving Vermonters what they want: beers from Lawson's, Long Trail, Smuttynose, and... hey, Smuttynose is in New Hampshire! That's cheating! 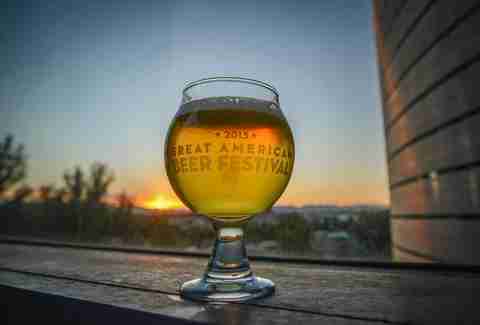 Oregon Brewers Festival Sixty thousand people attended the gigantic Great American Beer Festival in Denver in 2015. About 80,000 attend this festival in Portland each year, which is incredible. Also incredible is that's it's free to attend, and you only pay for what you drink. Oregon Brewers Festival Portland, OR Sixty thousand people attended the gigantic Great American Beer Festival in Denver in 2015. About 80,000 attend this festival in Portland each year, which is incredible. Also incredible is that's it's free to attend, and you only pay for what you drink. Great Taste of the Midwest One of the country's longest-running fests features 150+ Midwest breweries and if last year (and many years previous to it) is any indication, it will sell out. Great Taste of the Midwest Madison, WI One of the country's longest-running fests features 150+ Midwest breweries and if last year (and many years previous to it) is any indication, it will sell out. Southern Brewers Festival A festival so chill you can park your boat nearby and bring your kids (it's located on Downtown Chattanooga's riverfront), expect to partake in 100+ beers from top Southern breweries. Southern Brewers Festival Chattanooga, TN A festival so chill you can park your boat nearby and bring your kids (it's located on Downtown Chattanooga's riverfront), expect to partake in 100+ beers from top Southern breweries. The Little Woody Festival Barrel-aged beer fans (aka all beer fans) might want to plan a trip to attend the fest that costs only $15 to get eight tasting tokens to try measurably older brews from the likes of Deschutes, Ninkasi, and 10 Barrel Brewing. The Little Woody Festival Bend, OR Barrel-aged beer fans (aka all beer fans) might want to plan a trip to attend the fest that costs only $15 to get eight tasting tokens to try measurably older brews from the likes of Deschutes, Ninkasi, and 10 Barrel Brewing. Brewgrass Festival If you read the Beer City Festival info at the end of May, you know that for a town the size of Asheville, it is not exactly lazy with beer festivals. This one has a huge (banjo-shaped) music component, plus beer from breweries like Founders and SweetWater. Brewgrass Festival Asheville, NC If you read the Beer City Festival info at the end of May, you know that for a town the size of Asheville, it is not exactly lazy with beer festivals. This one has a huge (banjo-shaped) music component, plus beer from breweries like Founders and SweetWater. Belgian Beer Fest Portland, ME does justice to the city name Portland by hosting a BeerAdvocate event with hundreds of Belgian and Belgian-inspired drinkables. Belgian Beer Fest Portland, ME Portland, ME does justice to the city name Portland by hosting a BeerAdvocate event with hundreds of Belgian and Belgian-inspired drinkables. Hood River Hops Fest We'll let the festival organizers tell you why Hood River is a good place for a beer festival for fresh-hop brews: "Hood River County is surrounded by world-renowned hop-growing regions." It doesn't get much fresher than the 60+ fresh-hop beers at this shindig. 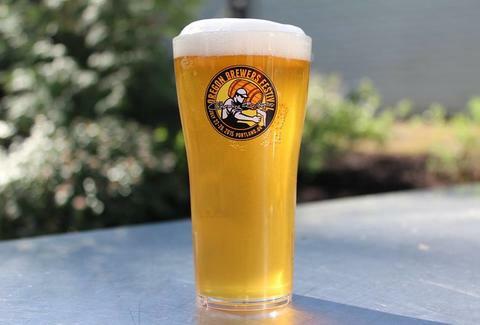 Hood River Hops Fest Hood River, OR We'll let the festival organizers tell you why Hood River is a good place for a beer festival for fresh-hop brews: "Hood River County is surrounded by world-renowned hop-growing regions." It doesn't get much fresher than the 60+ fresh-hop beers at this shindig. Fresh Hop Ale Festival The 2015 iteration of this fresh-hop extravaganza that's been kicking around for 10+ years featured a "beer bike cruising around the festival" with "rare treats." Brilliant. Fresh Hop Ale Festival Yakima, WA The 2015 iteration of this fresh-hop extravaganza that's been kicking around for 10+ years featured a "beer bike cruising around the festival" with "rare treats." Brilliant. Great American Beer Festival You can always catch great brewers and cult-favorite breweries among the madness that is three days of tasting sessions in the Mile High City. Great American Beer Festival Denver, CO You can always catch great brewers and cult-favorite breweries among the madness that is three days of tasting sessions in the Mile High City. Wisconsin Craft Beer Festival You don't often see Jester King pouring at festivals, but it poured a ton of its rarities in Milwaukee last year. And unlike many other fests content to pour you beer until you're crying out for a water, this one wants to teach you something, with multiple beer education classes over the two days. Wisconsin Craft Beer Festival Milwaukee, WI You don't often see Jester King pouring at festivals, but it poured a ton of its rarities in Milwaukee last year. And unlike many other fests content to pour you beer until you're crying out for a water, this one wants to teach you something, with multiple beer education classes over the two days. Maine Brewers Festival Portland strikes again with a small lineup that isn't limited to just Maine beer producers. Expect a curated selection of national craft beermakers for the 2016 version. Maine Brewers Festival Portland, ME Portland strikes again with a small lineup that isn't limited to just Maine beer producers. Expect a curated selection of national craft beermakers for the 2016 version. Festival of Barrel Aged Beers The festival just about sums it up in a sentence: "This is the country’s largest celebration of wood and barrel-aged beer." That would explain why in 2015, 90+ breweries showed up with 300 barrel-aged beers. Festival of Barrel Aged Beers Chicago, IL The festival just about sums it up in a sentence: "This is the country’s largest celebration of wood and barrel-aged beer." That would explain why in 2015, 90+ breweries showed up with 300 barrel-aged beers. San Diego Brewers Guild Festival Fifty-plus SD-based breweries (with heavy hitters like Green Flash and AleSmith) sample out their brews whenever San Diego Beer Week kicks off. San Diego Brewers Guild Festival San Diego, CA Fifty-plus SD-based breweries (with heavy hitters like Green Flash and AleSmith) sample out their brews whenever San Diego Beer Week kicks off. Denver Festivus Denver-made beer from CO beer heroes like Great Divide and Crooked Stave take center stage at this holiday beerstravaganza celebrating its fifth year. Denver Festivus Denver, CO Denver-made beer from CO beer heroes like Great Divide and Crooked Stave take center stage at this holiday beerstravaganza celebrating its fifth year. Holiday Ale Festival PDX knows how to ring in the holidays, and obviously the way to do that is to gather 50 winter ales made specially for the five-day festival, which takes place underneath a gigantic heated tend to keep the Portland rain at bay. Holiday Ale Festival Portland, OR PDX knows how to ring in the holidays, and obviously the way to do that is to gather 50 winter ales made specially for the five-day festival, which takes place underneath a gigantic heated tend to keep the Portland rain at bay.